Added on 17 August 2018 . By Anisah Audu. From London to Brighton, Boxpark could be coming. Hot on the heels of successful developments in London's Shoreditch and Croydon, Boxpark founder and chief executive, Roger Wade, has unveiled plans to inject a new lease of life into the Brighton seafront. The company aims to create a dynamic retail and leisure space, filled with restaurants, bars, offices and a hotel. 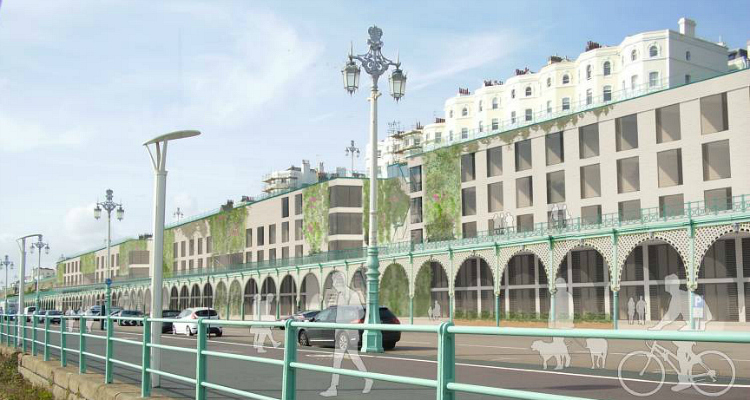 Reviving Brighton's iconic Madeira Terrace, this could be the next foodie destination. Alongside these huge plans, Boxpark has also partnered with chef Danny Stockland and legendary Brightonian DJ Fatboy Slim on a project called Shoreham Beach Box. Revitalising the seafront, this would also mean an annual calendar of events, talks and workshops. The news follows Soho House's plans to create a £60 million members club on the seafront, featuring a range of bars, restaurants, terraces and an open-air pool. The opening date for Brighton Boxpark is to be confirmed. Editorial Assistant at DesignMyNight. Loves peanut butter, doughnuts and tiki drinks. Sometimes all at once.